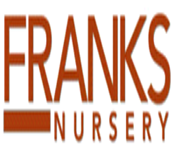 Frank’s Nursery & Crafts was a United States retailer devoted to the sale of lawn and garden products. It operated a chain of stores, with 170 outlets across 14 states.Founded by Frank Sherr and Max Weinberg in 1957. In May 2002 the company filed for chapter 11 bankruptcy and in 2004 they were forced to liquidate.